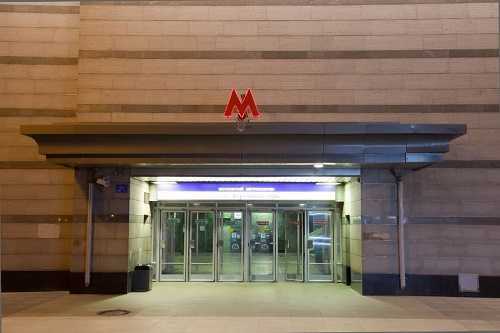 Moscow subway carries about 9 million people per day. Even for large metropolises – it`s really a lot. Due to traffic jam and poorly developed system of road junction-this type of transport looks really attractive and fast. Have you been in Moscow`s subway in rush hour? Thousands of passengers in overcrowded railway carriages, and such as much again on platform. Subway station “Lubyanka” is one of the oldest and centrally located. What is why there are narrow platforms and a large quantity of passengers. People are in an enclosed space, just trust each other because it so human! Monday, 29 March 2010, around 8:00 am… People were just rushing to work, study, visit and not come down… Do not come because someone wanted to prove something, and don`t find other way. How can you kill innocent civilians? It was impossible to imagine! You have not seen this fear in the eyes of people who heard this news and go to the subway because they must do their business in other different parts of the city. They have only one thought -“If only i could get there” Lucky. Psychologist say that one can not confine in concerns everyone need to discuss this problem, try to bring information to people. But why do usually suffer those people who are not protected? Children in the Nord Ost and Bislan, pregnant women in Pervomaisk and other terroristic attacks! Violence creates violence! Absolutely right, there is no any religion in the world that propagandize to kill! Not “higher” goals, not despair, can justify the evil that they brought to these people – mothers, daughters, fathers and sons! This year we have a long winter in Moscow and today the first day sunny weather and even heat. But someone will never feel this again.